Get the Blessing (previously known as The Blessing) are a jazz rock quartet based in Bristol, England, active since 2000. They were formed when Jim Barr (bass) and Clive Deamer (drums), the rhythm section from the trip hop group Portishead, teamed up with Jake McMurchie (saxophone) and Pete Judge (trumpet) over their mutual appreciation of Ornette Coleman. To date, they have released four albums, their debut All is Yes won best album at the 2008 BBC Jazz Awards. Their most recent album, Lope and Antilope, was released in 2014. The group have been widely received as part of a new generation of groups that blend jazz and rock, which also includes Esbjörn Svensson Trio, Led Bib, Polar Bear, and Acoustic Ladyland. The music is mainly instrumental, although there have been guest singers (specifically Tammy Payne on "The Unnameable" and "Music Style Product"), and Deamer sings a vocal version of "Bugs in Amber", entitled "Moot", live. Their live performances have been described as "Technically audacious, mysterious and droll, the Blessing also provided an evening of instrumental entertainment that was unfailingly tuneful and readily accessible." Also as "coupl hard-hitting, high-volume rock with wailing jazz-horn choruses. The group's flat-out drive, fiery virtuosity and strong, anthemic tunes certainly grabbed the audience". The Guardian newspaper recently said "the spirit of John Coltrane sometimes seemed to hover over the ensuing horn laments and full-on free thrashes alike, and the handclapping Pentopia unlocked all of the gifted Deamer's capacity for subtle variation on metronomically spellbinding grooves." 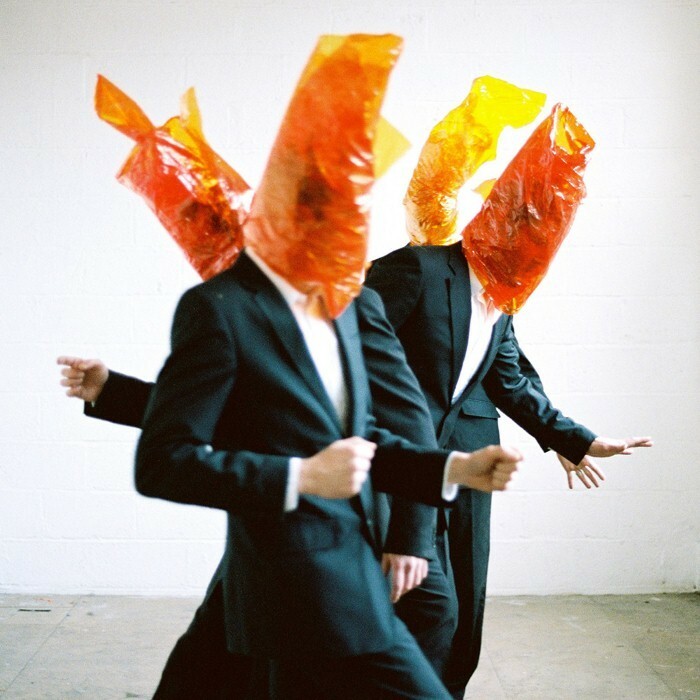 The band dress uniformly in white shirt and dark grey suits and, for promotional pictures and record covers, often cover their heads, most notably with brown paper bags. Interaction between the group and live audience is channeled through Barr's "comically cryptic introductions in the deadest of deadpan drones".